Continuing in the vein of messed up stories from last week, this week I’ll be reviewing Deadly Class which is written by Rick Remender and illustrated by Wes Craig. Deadly Class is basically the story of high school if everyone was learning to be a cutthroat assassin. It’s dark, brutal and seriously messed up without all the humor of Chew. For the purposes of this review, I’ll be covering issues one through sixteen. Set in 1987, the story follows an orphaned teenager named Marcus Arguello Lopez who has experienced a lifetime’s worth of tragedies in his fifteen years. When Remender first introduces Marcus, he’s living on the streets in filth and poverty and not sure he wants to keep going. When a stranger known as Master Lin offers Marcus the opportunity to escape this hell by training to become an assassin and avenge the deaths of his parents, Marcus discovers that his new school won’t be much easier than life on the streets. It will be up to Marcus to figure out how to survive the deadliest high school. Often when you read a graphic novel series, it’s easy for one aspect of the creation process to dominate the story. Occasionally you’ll get a talented pairing of writer and illustrator that plays off of each other in order to create a fantastic story but it’s rarely an even balance. 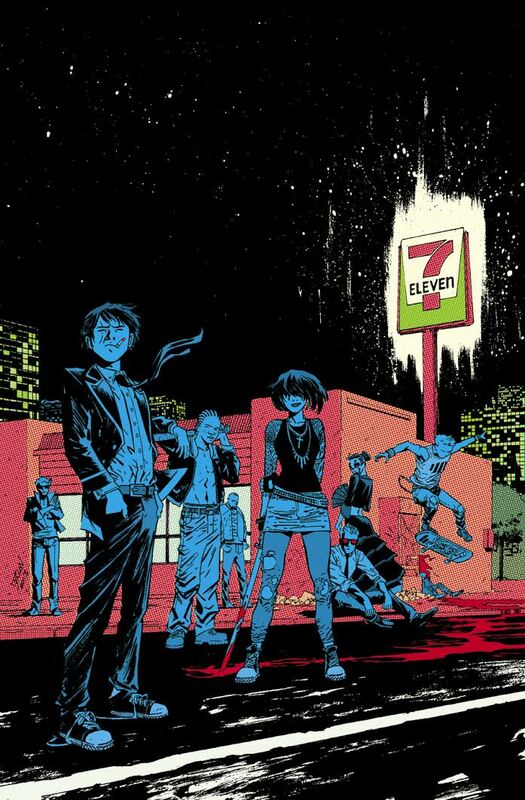 In the case of Deadly Class, it truly feels like a team has come together to create something impressive. This is the first time I’ve ever read a Remender story so I can’t say if his writing is always this dark or if Deadly Class is a special case. Regardless, Remender’s tale of coming of age in the eighties is unrelentingly dark, cynical and brutal. All of the teens that come into contact with Marcus come from shattered or criminal families with bloody histories behind them. Combined with high school’s tendency to throw others to wolves to boost your own popularity, this makes for an incredibly rough story. Craig’s artwork perfectly complements Remender’s tone because it isn’t pretty. This isn’t Alex Ross’s glorious, picturesque artwork. It’s alternately rough sketches balanced by dark, simple panels. And then all of this is brought to life by the perfect work of the colorist, Lee Loughridge. It truly is a perfect collaboration of creators. 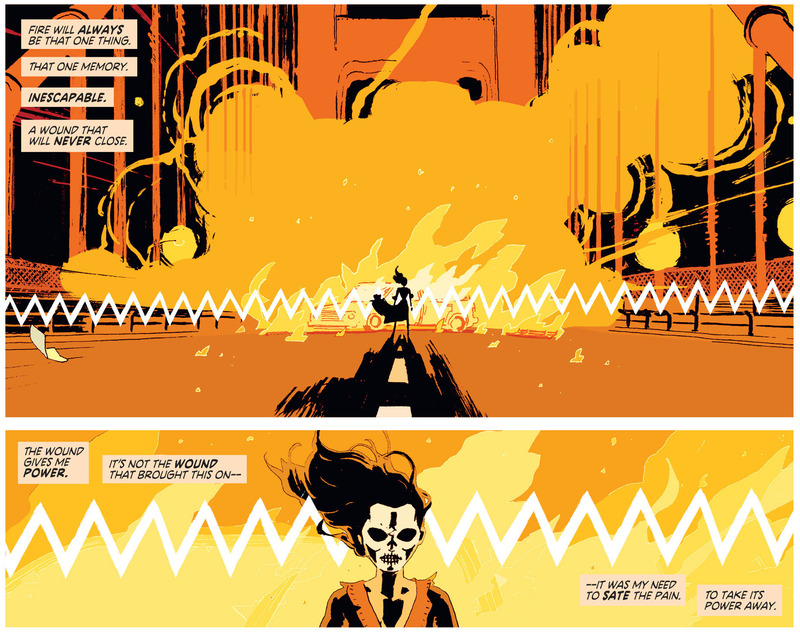 Deadly Class has gotten a lot of attention and deserves a lot of credit for perfectly combining art, lettering, coloring and story. However, I never really fell in love with it. 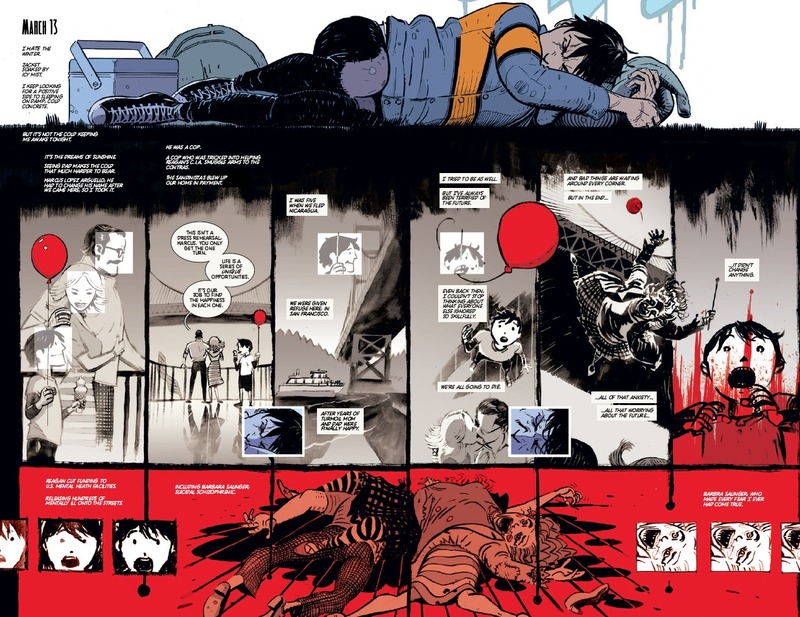 I can recognize why it’s been so well loved by so many but I have never had a graphic novel simultaneously depress and annoy me as much as Deadly Class did. It’s like reading Scott Pilgrim if it had been written by a misanthrope. It’s understandable why a group of teens whose lives have been filled with lies and betrayal would not trust anyone and have a difficult time. But it means that Deadly Class is one hundred percent unrelenting angst and heartbreak from issue one to issue sixteen. If that’s your thing, then you’ll love this. But I’m not a fan of drama and humorlessness and Deadly Class has three volumes of both before it finally ends on a brutal cliffhanger. Normally the characters are what make or break a story for me. 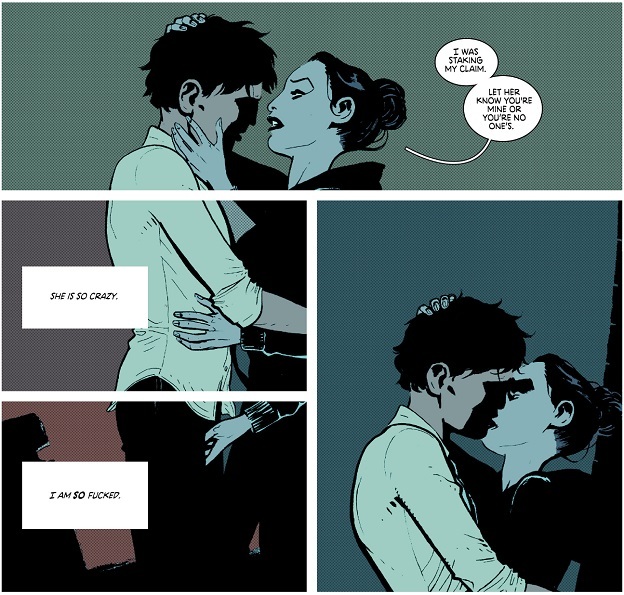 With Deadly Class, it’s the problem of enjoying all the characters except the protagonist. Many of the other characters are nuanced, damaged people that have enough likeable qualities that you can empathize with them despite their darker moments. But Marcus is like Scott Pilgrim on steroids. Spoiler alert: I hated Scott Pilgrim. I get that Marcus has had a hellish childhood but damn is he broken. I want to feel for him with his anxiety issues and depression because no one could go through the things that he has and come out whole. But he screws himself over so much that it makes it hard to feel bad for him when things just keep getting worse because he never thinks, just reacts. And the stupid love triangle that develops between him and two of his classmates was the worst. There’s nothing wrong with not knowing what you want but there’s everything wrong with that stupid “the grass is always greener” quality that Marcus and Scott share. Without Marcus, this story would be much more interesting. Deadly Class is one of those indie titles that proves that a team of creators can come up with something brilliant that doesn’t involve men (and women) in tights. It’s a perfect combination of talent that deserves a lot of the praise that it’s been getting. The concept of a group of damaged teens navigating high school and the dark reality of learning to be assassins is a compelling one. Yet I can’t universally recommend it. It may be more of a case of “it’s not you, it’s me” but I’ll have to decide how much drama and depression I can handle before I consider picking up the next volume.